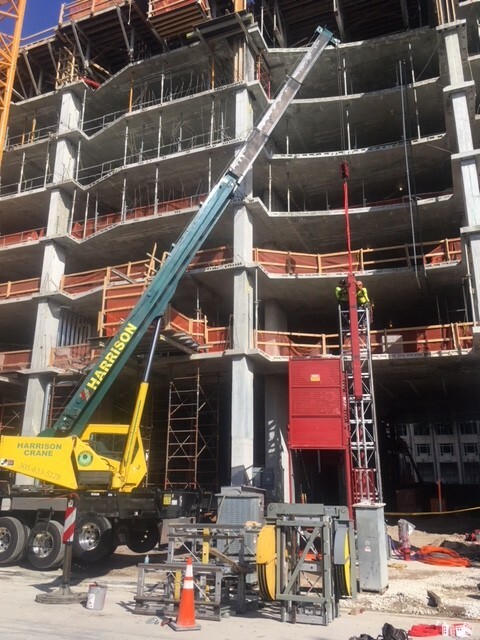 USA Hoist installed another US-8000 lb dual cage construction hoist this past week in Ft. Lauderdale, Florida. 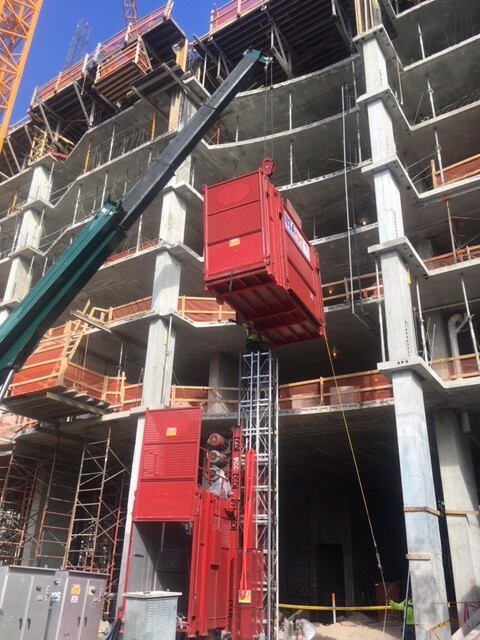 USA Hoist would like to thank Kast Construction for the opportunity to be a part of the Las Olas Project and their business. 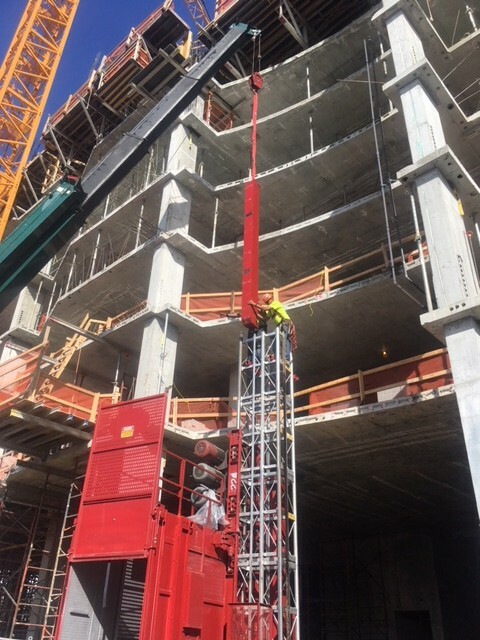 This hoist will be servicing 47 floors with a total tower height of 500ft. It will serve as the backbone of material and personnel transportation throughout the building. We are excited to watch this project progress. Please stay tuned for updates. (6) Trash Buggies in one Hoist! 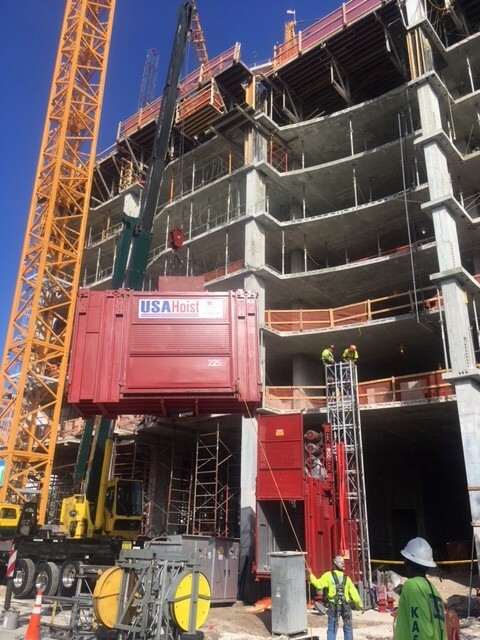 USA Hoist is the premier provider of custom construction elevators for mid, high, and super high rise construction. 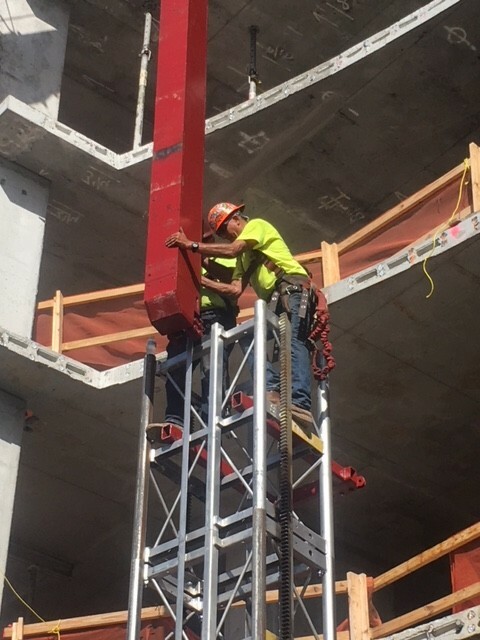 We lease or sell a full range of rack & pinion and cable elevators for any application. When it comes to installation and service of standard rack and pinion hoists...WE ARE THE BEST! 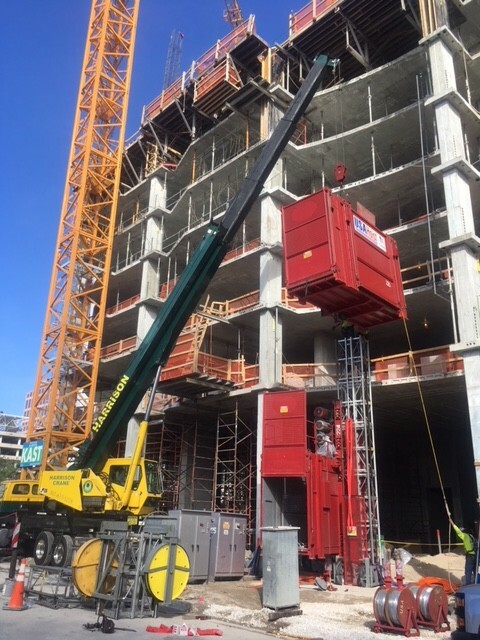 © Copyright 2019 USA Hoist / Mid-American Elevator. All Rights Reserved.